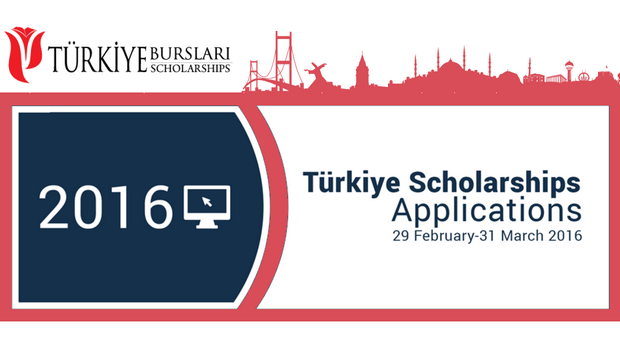 Applications for Türkiye Scholarships will be received by 28 February-31 March 2016. The application to Türkiye Scholarships programmes is online and totally free process. Applications delivered by hand or post will not be evaluated. Türkiye Scholarships include both scholarship and university placement at the same time. Applicants will be placed in a university and programme among their preferences specified in the online application form. Most programmes in Turkish universities are instructed in Turkish. However, some departments and universities offer programmes in English, French or Arabic. The candidates who want to study in these languages need to have an internationally recognized certificate to prove their language proficiency. Also, most of these foreign language programmes may ask international admission test scores such as GRE, GMAT, SAT etc. Candidates can check the language of instruction while selecting the programmes. All Türkiye Scholarships winners who do not have C1 Level Certificate for Turkish Proficiency (including those who are placed into English, French or Arabic-taught programmes) must attend 1-year Turkish Preparatory Course. Art and Sport Scholarship Programmes is specifically designed to encourage the skilled international students in the fields of art and sport to study at undergraduate, master or PhD (proficiency in art) degree levels in the prestigious Turkish universities with opportunities of Türkiye Scholarships. Applicants selected to be funded take one-year Turkish Language Course covered by scholarship. Subsequently, they have to receive an acceptance from the relevant faculties of Turkish universities. Applicants are expected to have documents (official certificate, portfolio, etc.) to prove their success in the field they apply for. Application and selection process for candidates from Syria will be carried out with a different schedule from general schedule of Türkiye Scholarships. Information about deadlines and implementation will be shared afterwards. By taking this opportunity, we would like to remind you that candidates from Syria applying for a scholarship in undergraduate level must take the Equivalence Exam held by Ministry of National Education of Republic of Turkey and must be successful at this exam in order to be granted. And finally complete their application.